OCEANIS, Beneteau's market leading cruising yacht range. Whether you are day sailing, holidaying in the sun or heading for those long distance blue water passages,the Oceanis range will fulfil your desires. From the elegance and comfort of the warm and welcoming interiors to the crispness of the performance the Oceanis models are true cruising yachts. With your choice of layouts and models the Oceanis range are at home roaming the seas or at anchor in those quiet bays and warm breezes. Superb deck and cockpit layouts are combined with beautiful interior design and furniture. The world reference in cruising. With eight models ranging from 31 to 60 feet, the Oceanis is a safe and efficient sailing yacht. With increasingly stable hulls, clear deck plans, simplified manoeuvring, equipment and interiors lending themselves to personalization, the Oceanis range continues to improve the cruising experience. 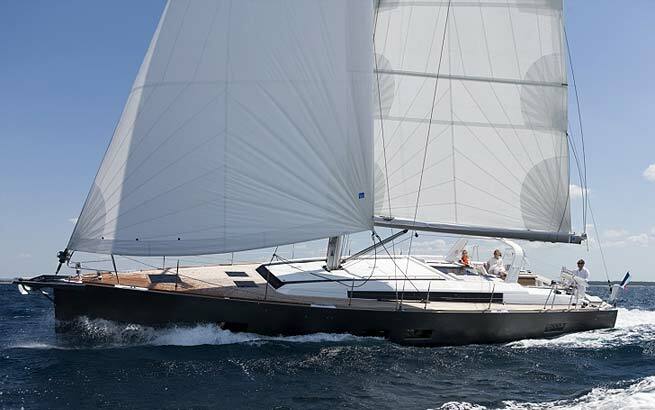 2012: Océanis 45; Elected “European Sailboat of the Year” in the family cruiser category! 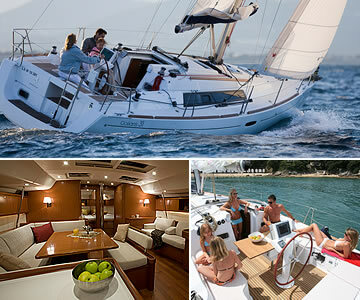 2011: Océanis 58; Nominated in the "Premium cruisers over 55 feet" category, Cruising World Magazine. 2008: Beneteau 34 was awarded Boat of the Year by Cruising World Magazine for "Best Value"
2008: Océanis 40; Won the "Best midsize cruiser" by Cruising World Magazine. 2007: ( Christofle Asia Boating Awards) Océanis 50 Won the "Best sailing yacht (under 100 feet)" category.